In Computing students learn all about the diversity and complexity of the computing industry. We deliver a tailored curriculum which ensures students leave with the knowledge and qualifications that the industry really want. 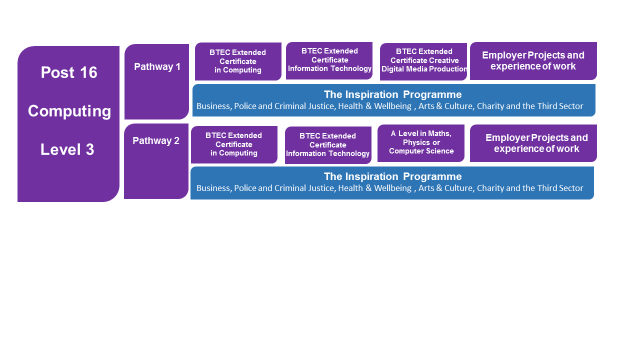 Students at Bucks UTC learn through projects and practical activities particularly in specialist computing. 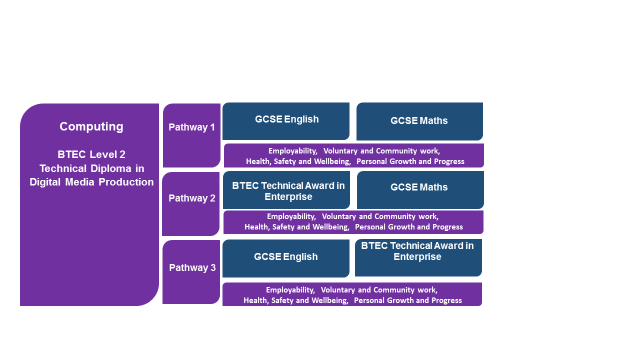 We have introduced the BTEC Technical Award in Enterprise to the Key Stage 4 curriculum to broaden opportunities to work with employers and is a practical introduction to life and work as an entrepreneur. Students will work with our industry partners on projects and challenges they set through the scheduled employer activity days. 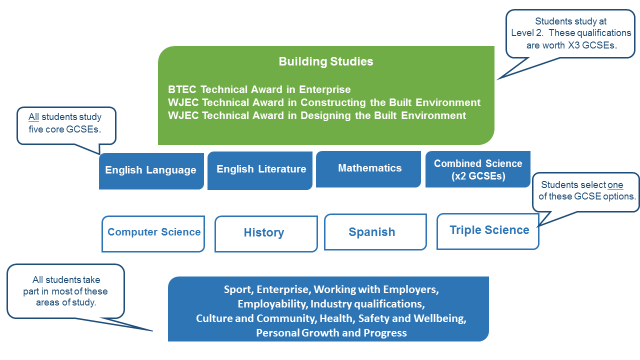 Alongside the 3 specialist qualifications, all students will study the core curriculum subjects of English, mathematics and science with an optional GCSE choice in triple science, computer science, Spanish or History. At post 16 students progressively participate in projects with employer partners and in real working environments. This flexible approach is to enable students to access a broad range of disciplines within Computing, whilst gaining professional qualifications and authentic working experience. 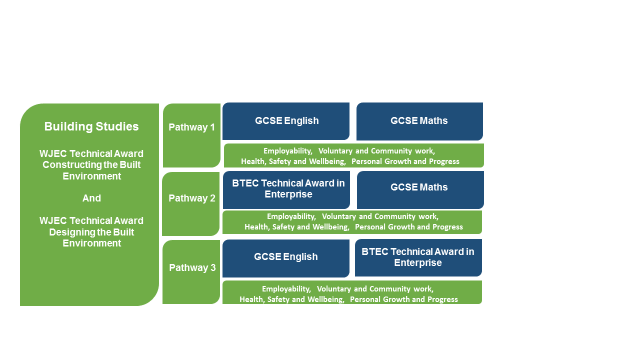 This will support progression into apprenticeships/higher level apprenticeships, employment and higher education. In Building Studies students will learn about the diversity and complexity of the industry. Building Studies is much more than the traditional trades and crafts that spring to mind. Increasingly organisations are looking for project managers, site managers, planners, surveyors, designers, procurement specialists and many other roles as the industry expands and evolves. Our courses provide insight and exposure to the careers available with major local employers like Taylor Wimpey are helping to shape the curriculum and provide work experience and apprenticeship opportunities. 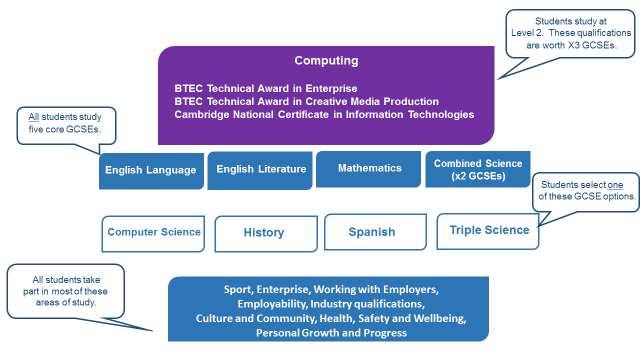 Alongside choosing your specialism, all students will study the core curriculum subjects of English, mathematics and science with an optional GCSE choice in triple science, computer science, Spanish or History. 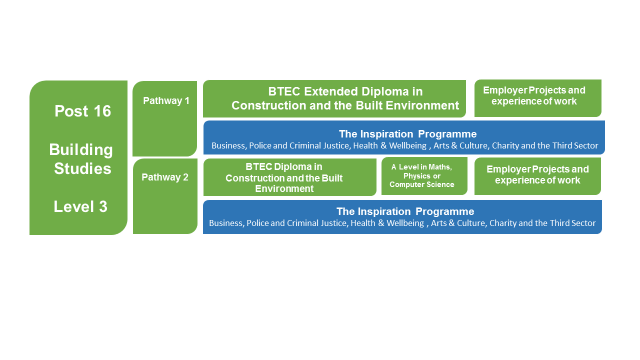 In addition to the BTEC qualifications, students also get the chance to study highly valued industry leading professional qualifications. Students will be able to explore and focus on their preferred industry sector and use these new skills to help them with obtaining potential employment, higher education and apprenticeships.